Spotify is planning to release an in-car music player with voice controls later this year, anonymous sources told The Financial Times. Spotify has previously teased this type of product with pop-up screens in the Spotify app seen by some customers, as The Verge reported back in April, but today’s news further confirms its existence. Its rumored release comes as companies including Apple (with CarPlay), Google (Assistant and Android Auto), and Amazon (Alexa) compete for in-car dominance. 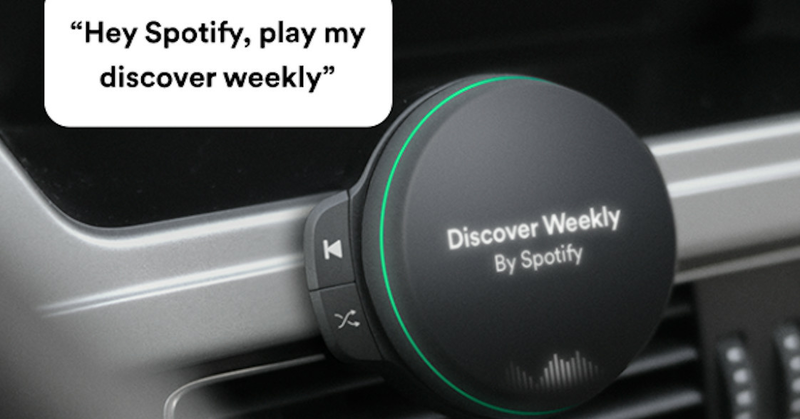 The better idea might be to bundle it with the Spotify music service, and the company seems to be exploring this: Spotify’s previous mentions of the in-car product suggested it will be offered as part of a new monthly subscription — though it might require a 12-month commitment. Earlier this week, Spotify rolled out a simplified Car View mode for its Android app, which is automatically activated when connected to a vehicle’s Bluetooth system.